Recently I posted a fairy wand project all encrusted with glitter. This is the same idea, but inclusive. 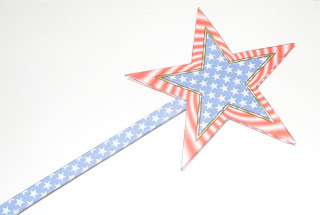 I added into the template a wand so you don't need to use a dowel for the wand part. I hope you like it. 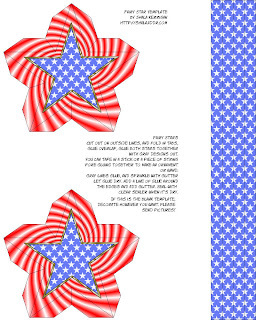 Instructions for cutting and folding the star are on the link above, to fold the wand part,score the 3 folds, and cut out. Fold each side into the middle and glue, burnish down the folds with a spoon or something similar, then fold in half, glue, and burnish it down. Tape between the stars with double stick tape as before.